Blue Rose Epics | Entertainment: The Dark Knight (2008) 10th Anniversary! 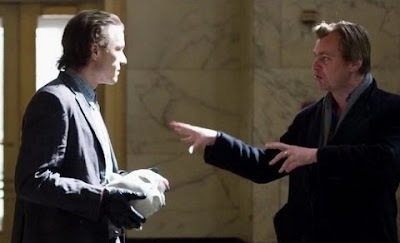 Today is July 18, 2018, the tenth anniversary of the theatrical release of Christopher Nolan's The Dark Knight (2008). Not only was this film ridiculously well-received by audiences at the box office, but even the film critics who typically disliked superhero films were stunned into silence at this powerful cinematic tour de'force. Below is a great New Rockstars YouTube video commemorating the film's 10th Anniversary and analyzing some of the movie's subtly brilliant moments that are easy to miss. This video helped remind me of what I loved about this movie and particularly how artistically coherent the whole production was from beginning to end. This was an exciting movie. A reason to get out of the house and into a movie theater, or better yet, an IMAX screening. 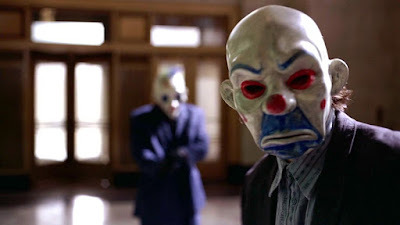 The Dark Knight (2008) is a great answer for anyone who questions the power and validity of why cinema should always exist as a storytelling medium. The Rotten Tomatoes review aggregator shows the film with the remarkably high 94% approval rating in both the critic and audience categories, a feat almost unheard of in film history, let alone for the release of a major studio tentpole Summer blockbuster. 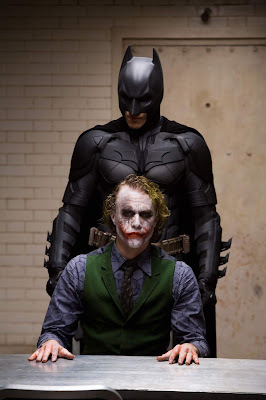 But then The Dark Knight (2008) actually seemed to reveal a big problem with the Academy Awards that year, since it was snubbed from even being nominated Best Picture. Non-coincidentally, viewership of the Oscars has declined ever since. However, when The Dark Knight arrived in theaters, I was in college, taking Summer classes. But I had pre-planned and preordered my tickets months in advance and I drove out with family over 45 minutes to the nearest true IMAX screen and we watched one of the earliest showings. And I was completely overwhelmed and stunned. This was a meticulously shot film emphasizing character, plot, and philosophical ideas to a degree rarely attempted in literature, let alone in cinema. The visuals, sound design, directing, and acting were so much more than I could have expected, too. It was a breath of fresh air in a Hollywood that had become stale with bland, inoffensive, and mediocre blockbusters. As a struggling student, I did not have a lot of spending money, but I sacrificed and I ended up re-watching the film on that magnificent IMAX screen a total of five times--the most I could have done, at the time. And just to gauge the difference, I went to a normal theatrical venue for the film once, also. So I ended up seeing The Dark Knight (2008) six times in the theater. And honestly, if I had had the time and resources at the time to do it, I would have watched the film several more times in the IMAX format. It was truly spectacular in every sense of that word. I was in awe of it as a piece of popular entertainment and as a true work of art. Let's talk a little bit about the film that preceded it, though. The first film in Nolan's trilogy, Batman Begins (2005) had decent success in its theatrical run three years earlier, it really did not hit its stride until its DVD and Blu-Ray release had had time to make the rounds on home video. Once there, the film truly skyrocketed in popularity as the best live-action iteration of Batman yet. Not only was Batman back, but it was better than ever. So hype was already building to a fever pitch in the months preceding its release, when the news hit that Heath Ledger tragically died of an apparent prescription drug interaction while he was fighting off a strong bout of pneumonia during a break from filming his next film, Terry Gilliam's The Imaginarium of Doctor Parnassus (2009). It felt so senseless and devastating to lose one of the best actors of the up-and-coming generation to something so small and innocuous. 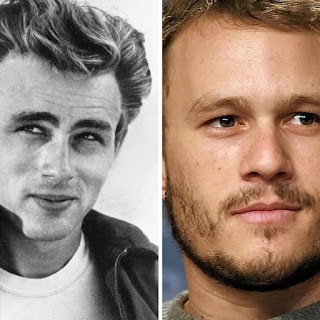 It hit society as a whole in a similar way to James Dean's early tragic death decades earlier. And it left everyone mourning for the many incredible things and roles Heath had yet to do in life. A lot of people were planning on watching the film in part to honor Heath Ledger's legacy and see if all the buzz about his final complete film performance could possibly be true. And to the credit of Ledger, if anything, he undersold and overdelivered when it came to that performance as The Joker. 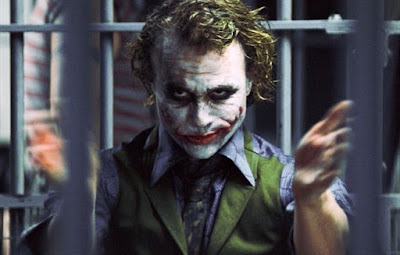 In fact, Heath was so good that it is likely all other villain performances from now on will be compared to it as the new gold standard in the field. So in spite of all the major hype going into the release, The Dark Knight (2008) still somehow managed to exceed everyone's expectations. And that is nothing less than a minor miracle. If it is not already clear to you yet, The Dark Knight (2008) has earned every bit of love and respect it gained over the past decade. 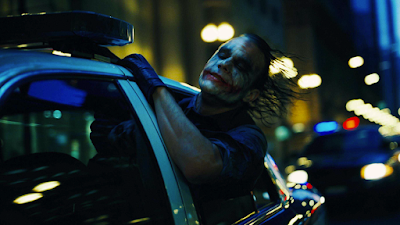 So while the other films of 2008 are occasionally re-watched and mildly appreciated now and then, The Dark Knight is the kind of film that just grows stronger and more popular as the years go by. 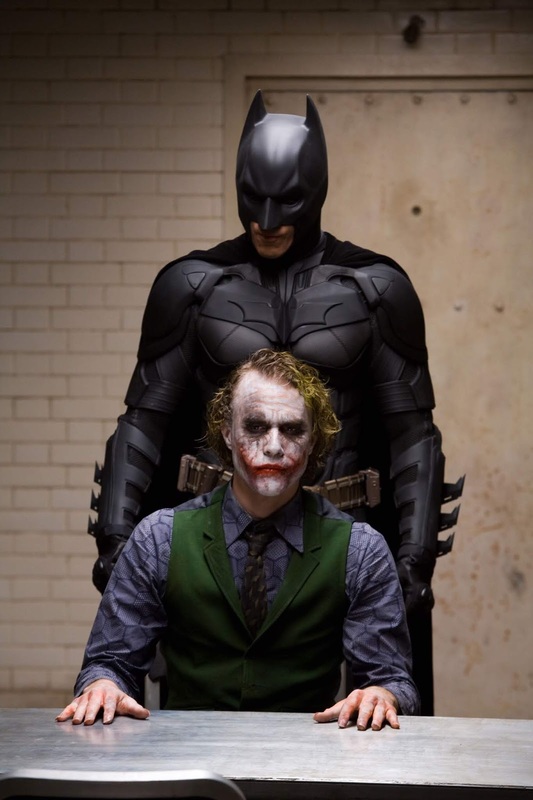 And it will likely remain that way as The Dark Knight ever surpasses its competition as not just one the best superhero films ever made, but one of the best movies ever made. Period.